Product Consist : Bunch of 20 Mix Flowers Like Red Roses, Lilies and White Gerberas with exotic green fillers in tissue wrapping and ribbon bow on it. 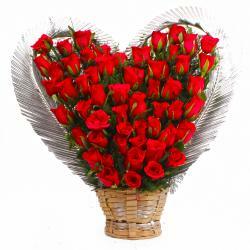 Flowers are the best gifts which help in depicting your emotions to the one you adore. On this Valentines Day surprise your special someone with this exclusive gift item. 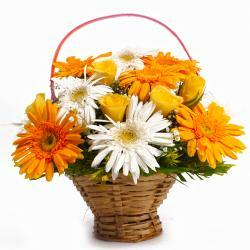 The gift item is a flower bouquet.which contains Red Roses, Lilies and White Gerberas are used to decorate the round bunch. Flowers have the power to change the mood of a person. 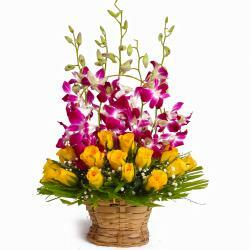 You can gifted this special arrangement on Birthday, Anniversary, Diwali, Dhanteras, Eid-Al-Adha, Independence Day and many more. 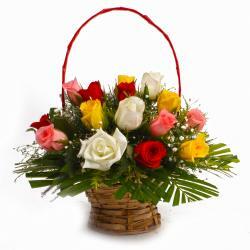 Please your sweetheart by gifting this amazing flower basket which is available for gifting at our gift store. So hurry up and place your order now. 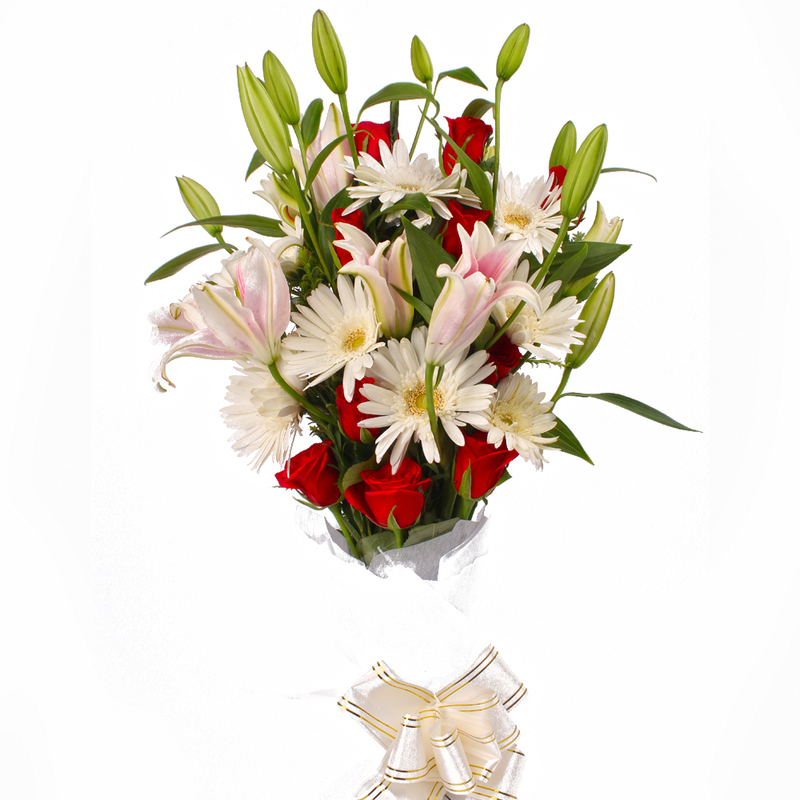 Product contains : Bouquet of 20 Mix Flowers Like Red Roses, Lilies and White Gerberas with exotic green fillers in tissue wrapping and ribbon bow on it.